Sometimes in life good things happen by what seems like a sheer stroke of luck. Like spontaneously throwing together a recipe without any pre-meditation and having it turn out perfectly. 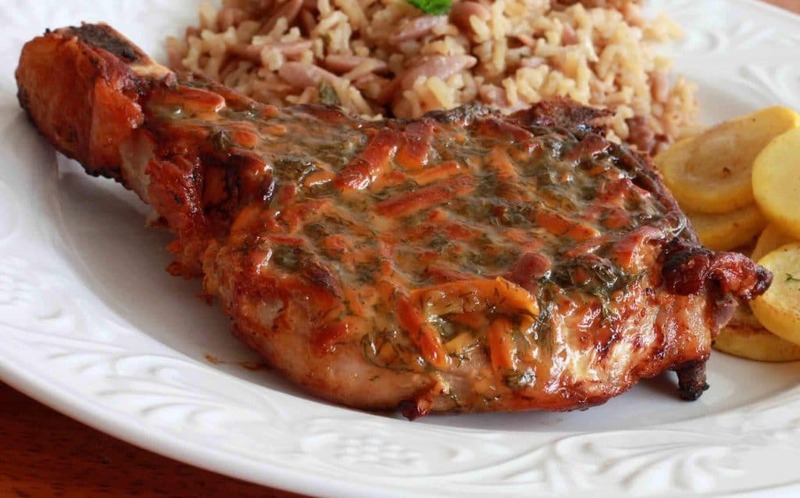 Like this pork chop recipe. I didn’t know what to make for dinner last night. And honestly, the portion of my brain responsible for creative activity was on it’s last gallon of gas. We hadn’t had pork chops in quite a while and so I thought, “why not?” I pulled some out of the freezer and gave them a quick thaw. I rummaged through my fridge and spice cabinet to try glean some sort of inspiration. Nothing was coming to me. Blank. (I think my brain’s fuel tank was even lower than its gas odometer implied). I found my hands moving on auto-pilot and without the help of my lagging brain. 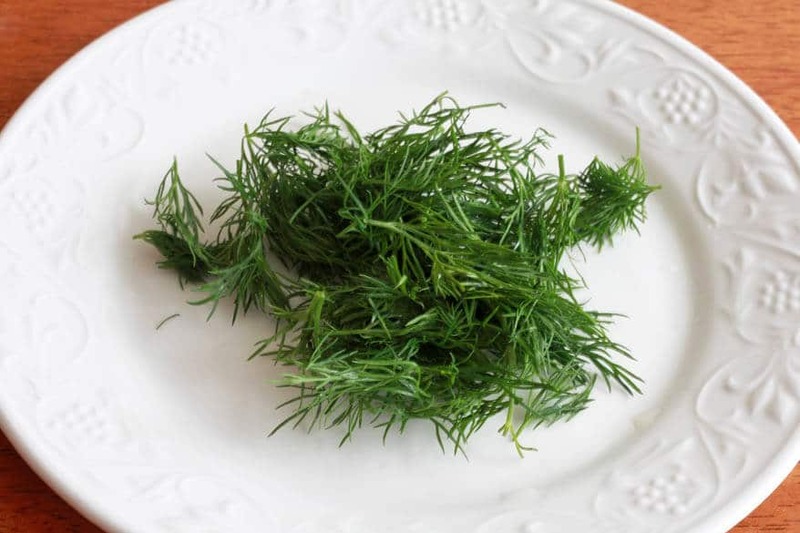 They grabbed some fresh dill (one of the herbs really BOOMING in my garden right now), then some mustard, honey, salt and pepper. I aimlessly mixed these together and then just stared at it. You know how you end up reading the same sentence or paragraph over and over and over when you’re really tired? It was kind of like that. I was staring, and staring again, at my little condiment bowl. It didn’t seem quite complete enough. What could I use to bind it all together? Somehow, from somewhere, cheese came to mind. The only cheese I had on hand was cheddar. And so cheddar it was! 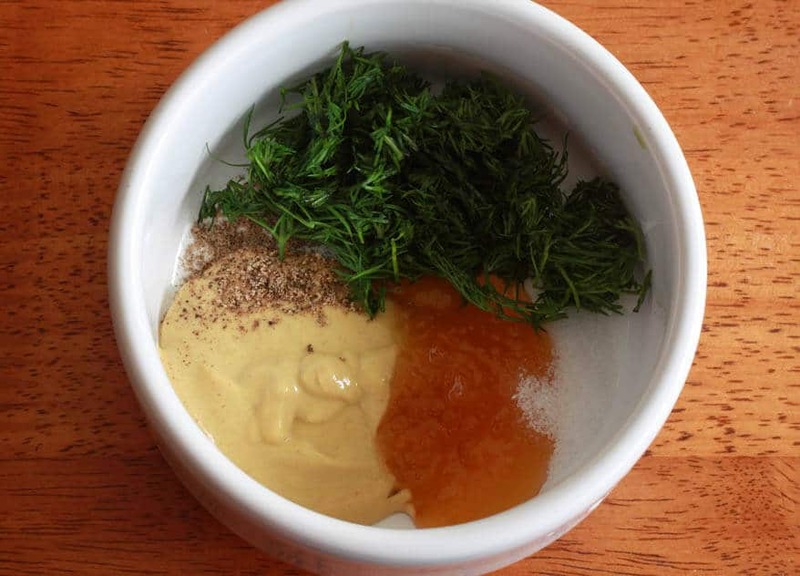 I grated some and stirred it in with my honey mustard dill concoction. It “looked” good. So far so good. I browned the chops and lathered them up with my special sauce. My tired and drooping brain started to spark and I could feel a twinkle in my eyes as I looked at these beautiful chops slathered in this colorful and aromatic sauce. I felt hopeful. Fingers crossed, I slid them into the oven and waited. I opened the oven and was immediately greeted by an aroma that prophesied deep satisfaction. My mouth soon confirmed what my nose predicted. Dinner was a delight in the Killebrew home last night, thanks to these phenomenal pork chops! I hope you’ll give them a try! 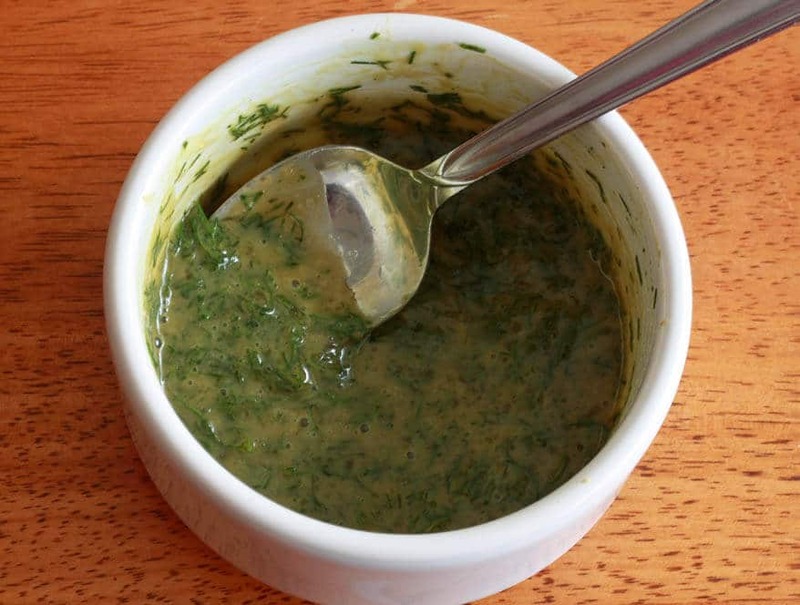 Note: This sauce will also work fantastically with chicken! Season both sides of the chops with salt and pepper. Heat some oil in a skillet and fry both sides of the chops until golden brown, about 4-5 minutes on the first side and a couple more minutes on the other. 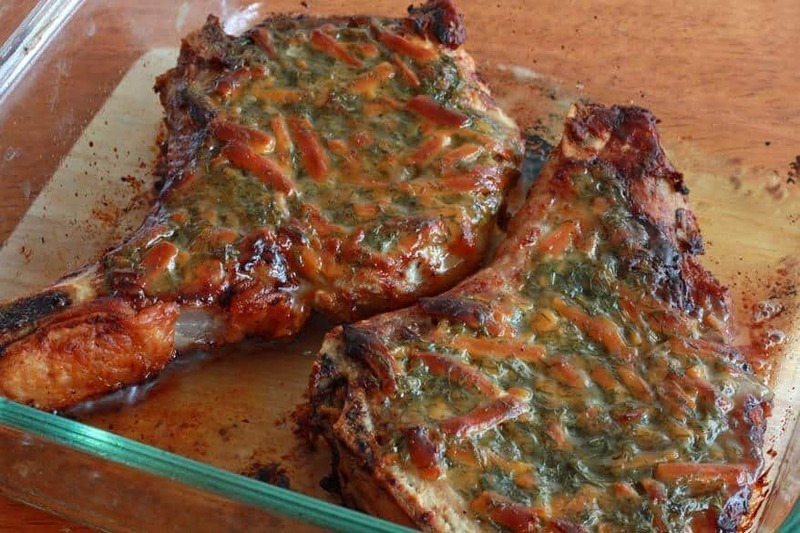 This sears the pork chops and creates a really flavorful caramelized crust. 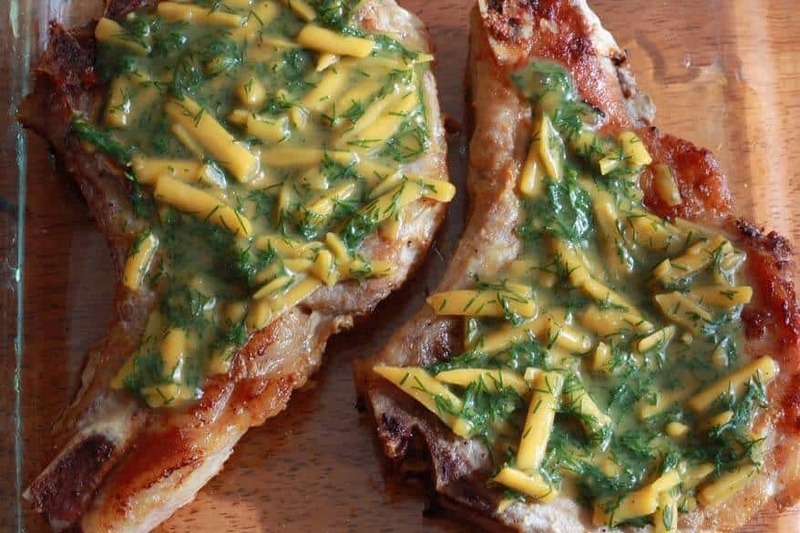 Place the pork chops in an oven-safe dish and preheat the oven to 425 degrees F.
Place the dill in a small bowl along with the mustard, honey, pepper and salt. Add the grated cheddar cheese. Spread half of the mixture on each pork chop. Aren’t these just gorgeous? Okay, let’s get these chops in the oven before they start blushing! 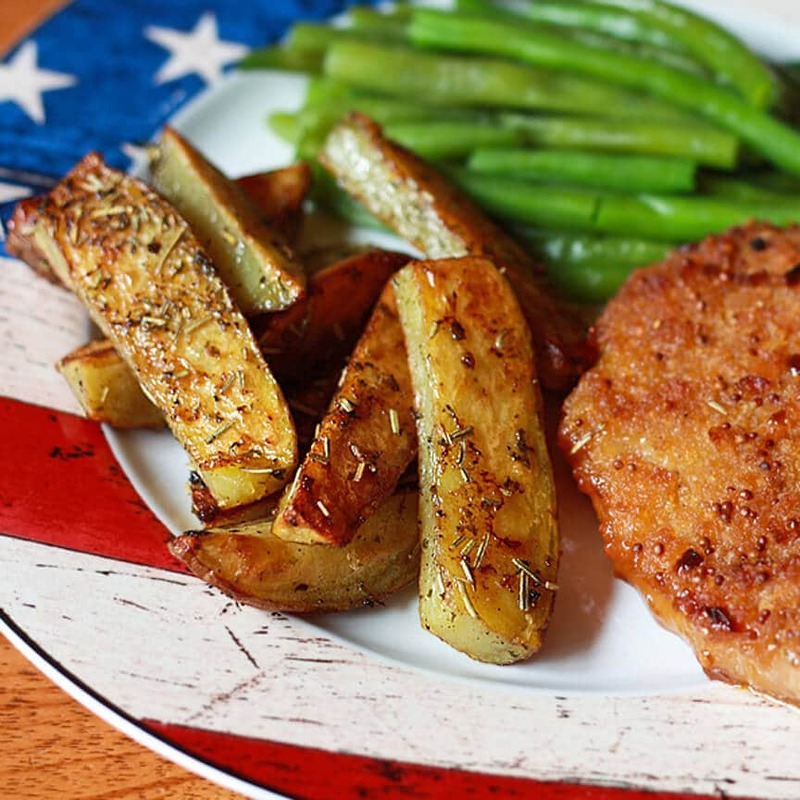 Bake until a thermometer inserted into the center of the pork chops reads 145 degrees F, about 15-20 minutes depending on the thickness of the chops. 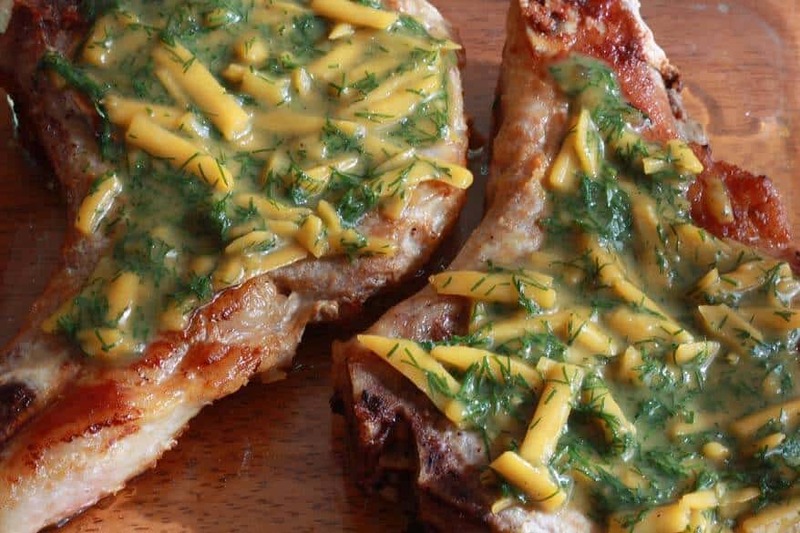 Mmmm, Honey Mustard Dilly Cheese Pork Chops! How about these yummy Herb-Roasted Potato Wedges to serve with the chops? Click HERE for the Herb-Roasted Potato Wedges recipe! 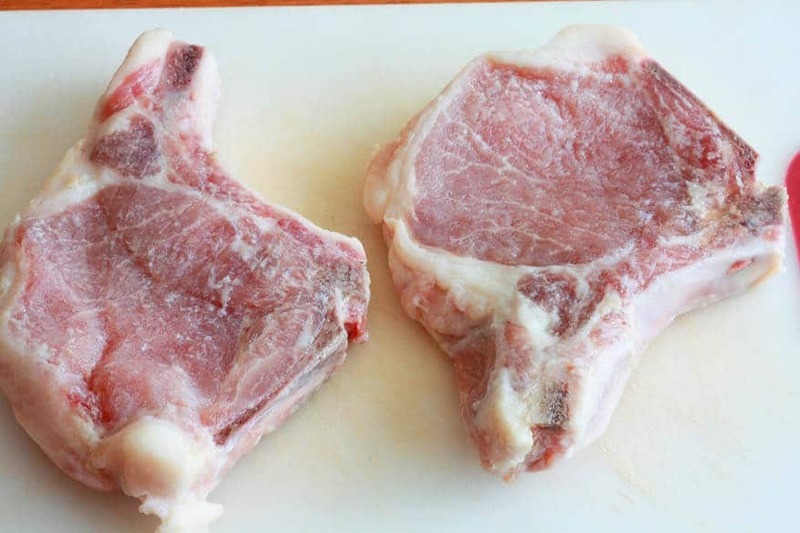 Sprinkle both sides of the pork chops with salt and pepper. 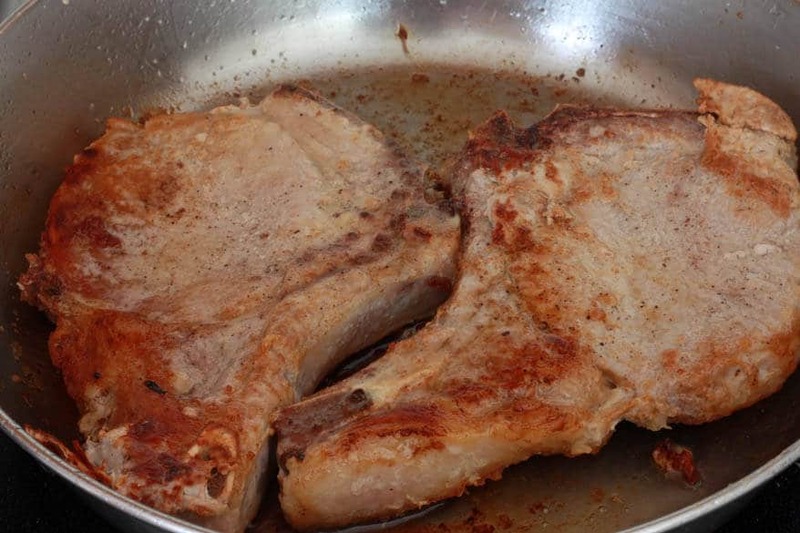 Heat some oil in a skillet and fry both sides of the pork chops, about 4-5 minutes on the first side and 2 minutes on the other side, until caramelized brown. 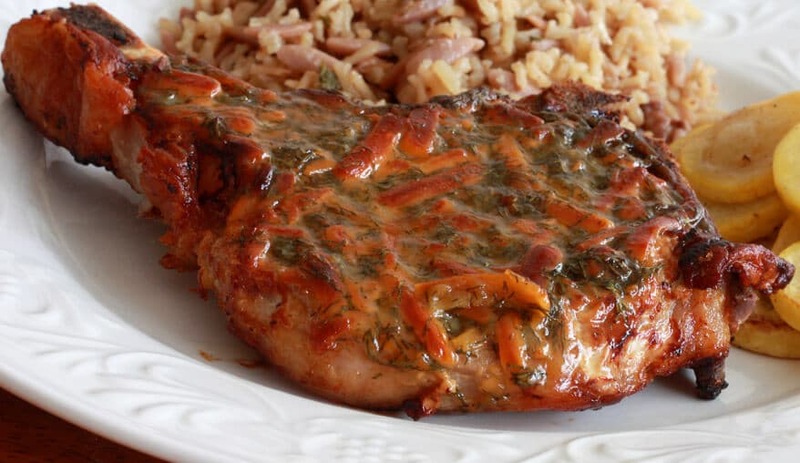 Place the pork chops in an oven-proof dish. 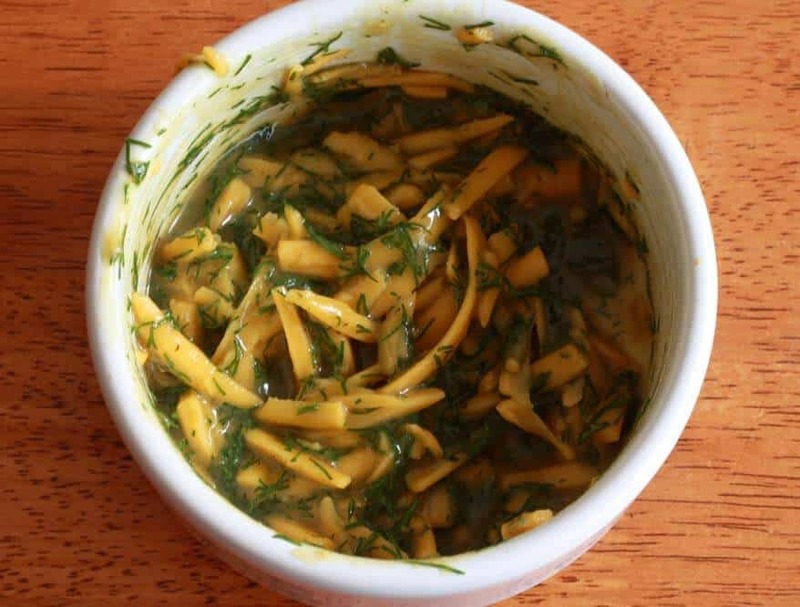 Combine all remaining ingredients in a bowl. Spread an equal amount of the mixture on top of each pork chop. Bake, uncovered, until the a thermometer inserted into the center of the pork chops reads 145 degrees F, about 15-20 minutes depending on the thickness of the pork chops. This looks delicious! 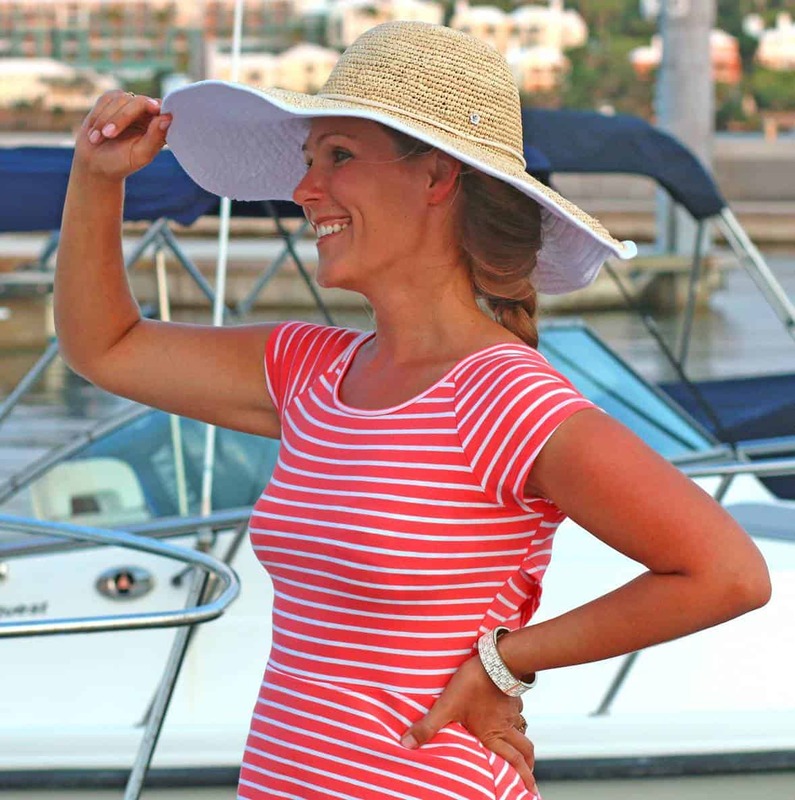 If it is anything like the other recipes I have tried from your blog, it will dazzle the family! Thank you Daring Gourmet! 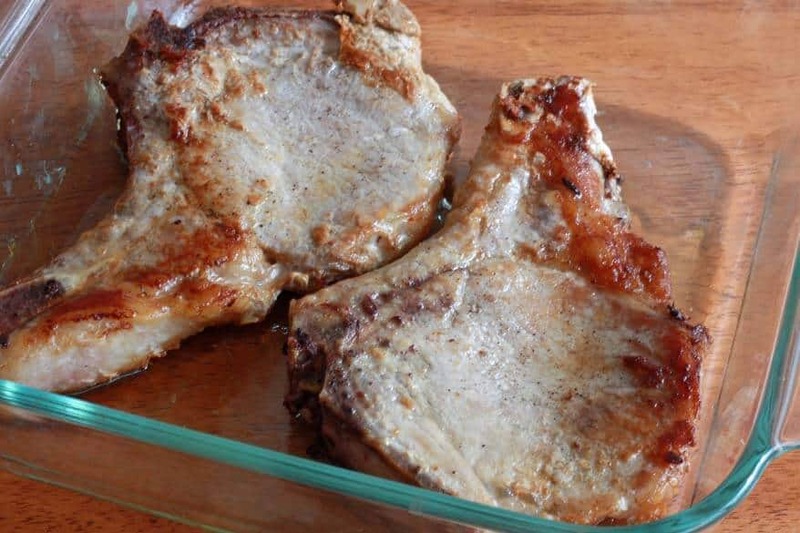 We ate these pork chops a few days ago, they were wonderful. I’ll definitelly be making them again soon.